The variety of shape, personality, size, color, and the reasons for which dogs are bred is absolutely flabbergasting. Over centuries, several dogs in different geographic areas around the world have been kept by humans to serve specific roles, from companion to herder, from guardian to hunter. For a few of these breeds, the size has been a significant factor in the searching journey for the perfect pet. Whether that was to guard a home with more frightening skills, chase bigger game, or simply having a loyal and loving companion. 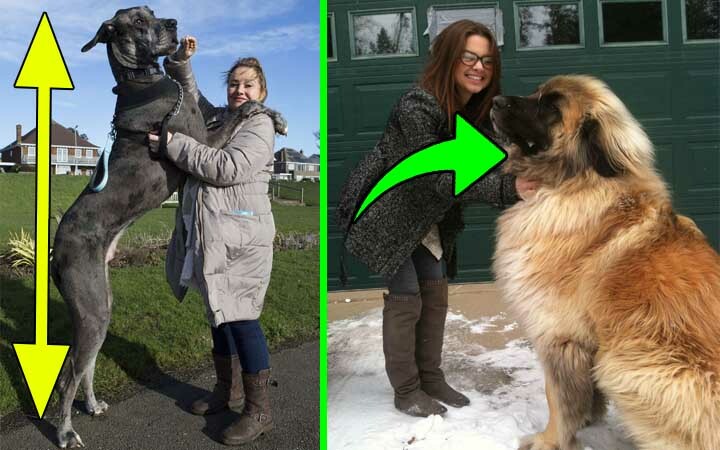 Of thousands of dog breeds around the globe, here are 10 of the largest.